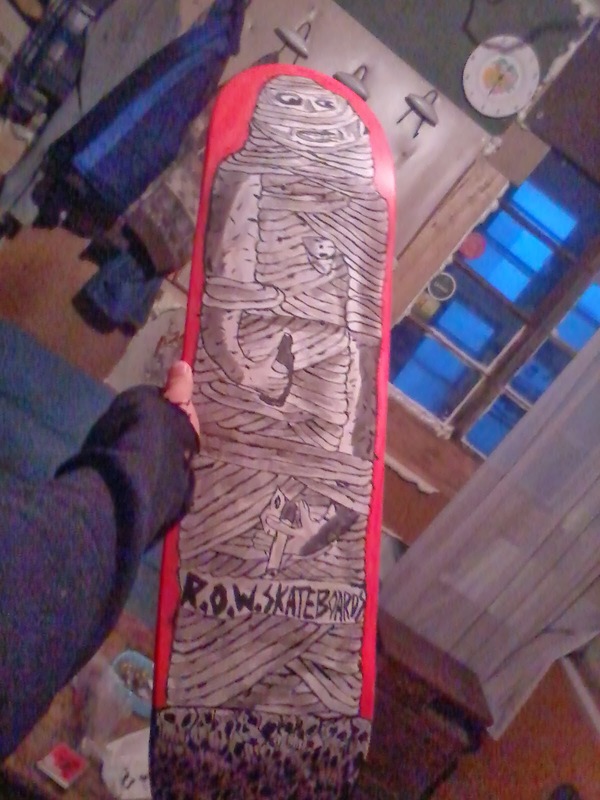 R.O.W. 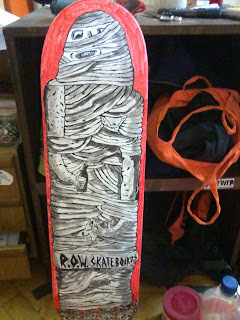 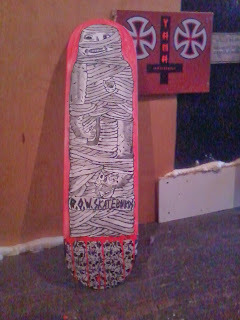 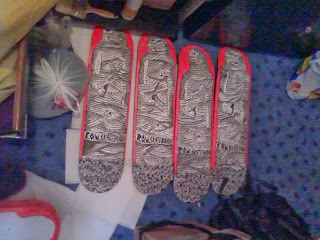 HAND PAINTED BOARDS ! 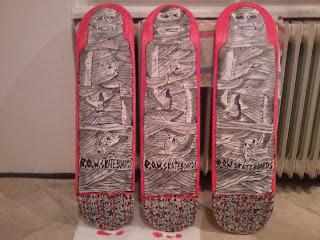 HERE ARE SOME OF THE BOARD I MADE LAST DAYS AND WEEKS . 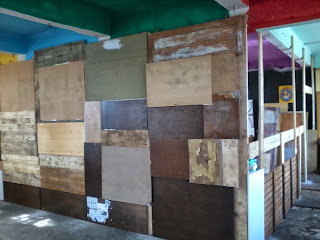 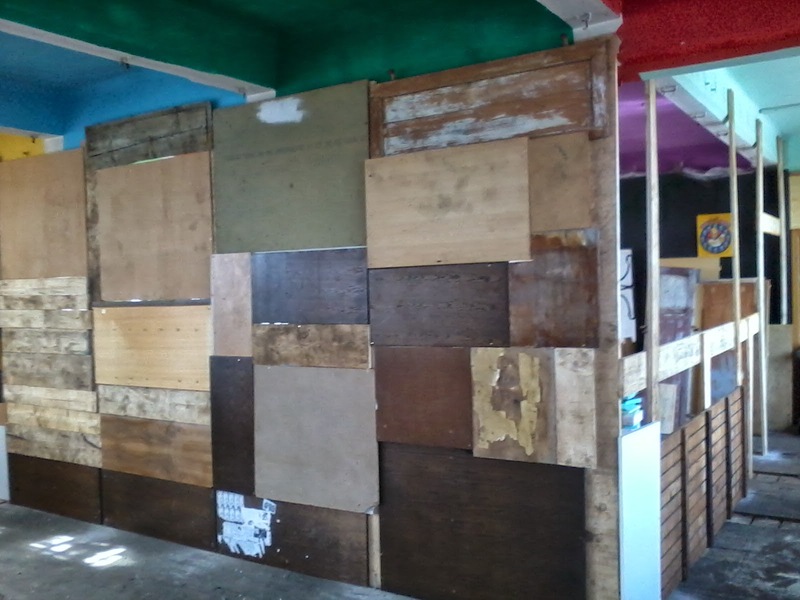 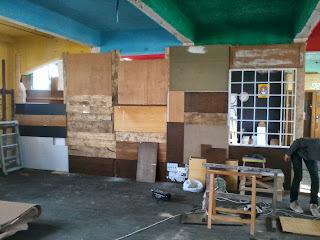 THOSE ARE ALL OF THE BOARDS I MADE THILL NOW . 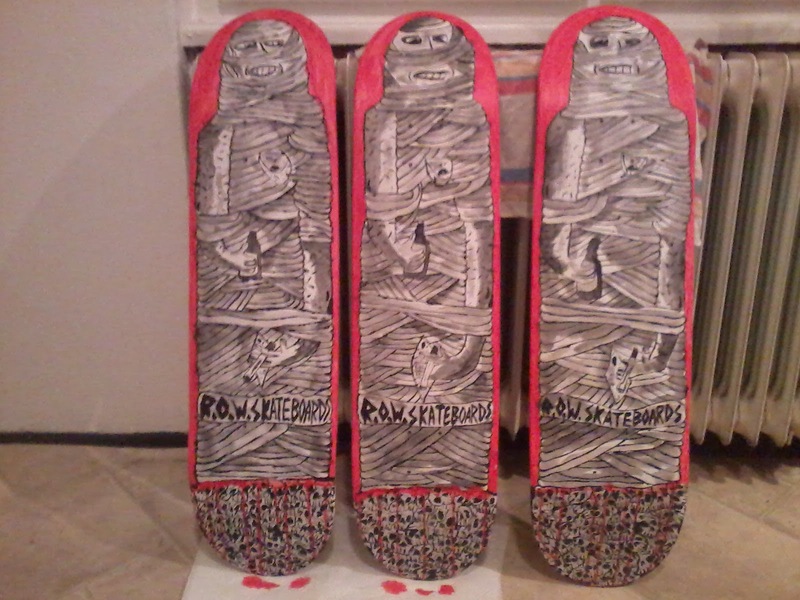 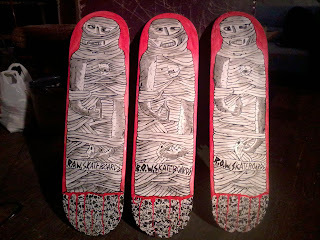 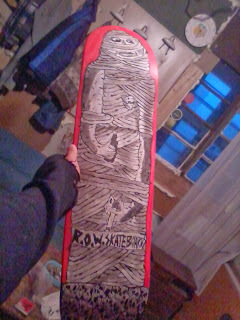 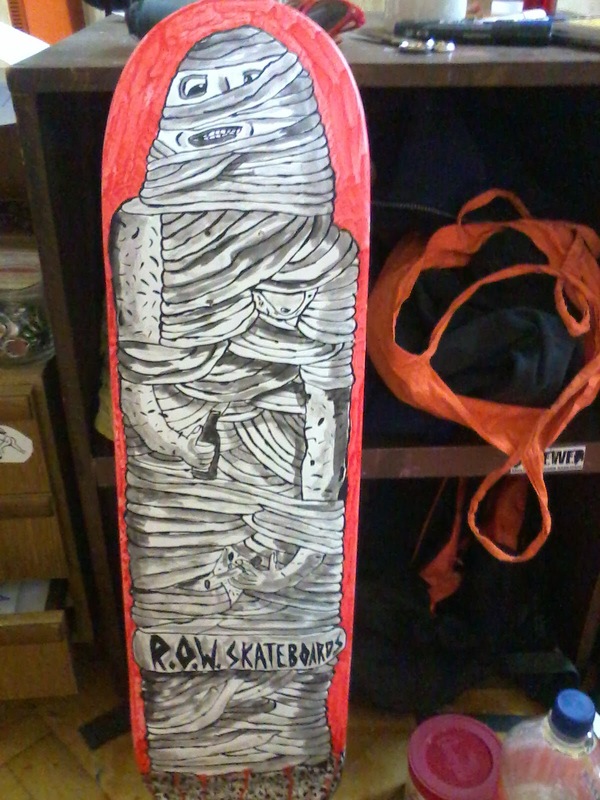 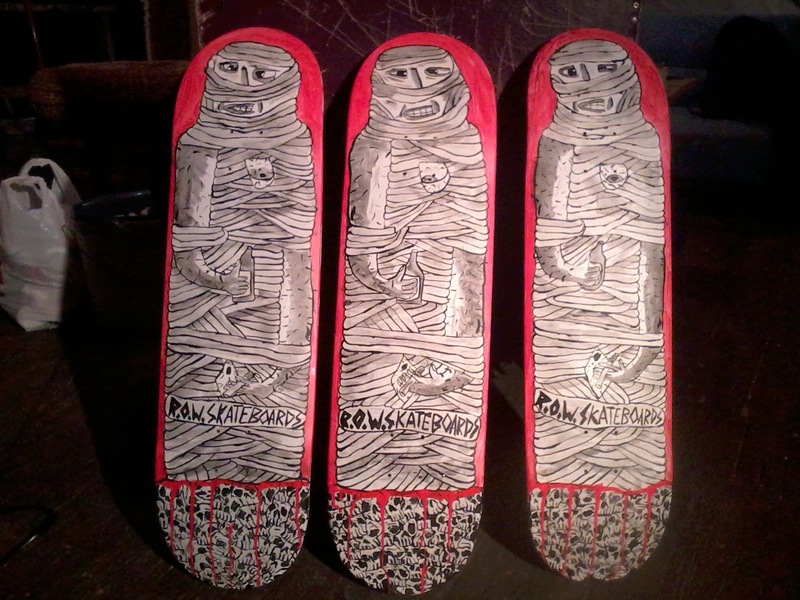 BOARDS ARE STILL AVAILIBLE IF YOU WHANT THEM . 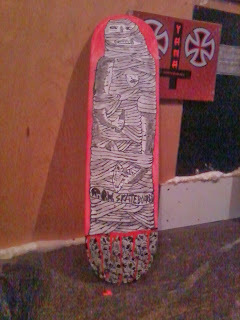 this is the first one i did . 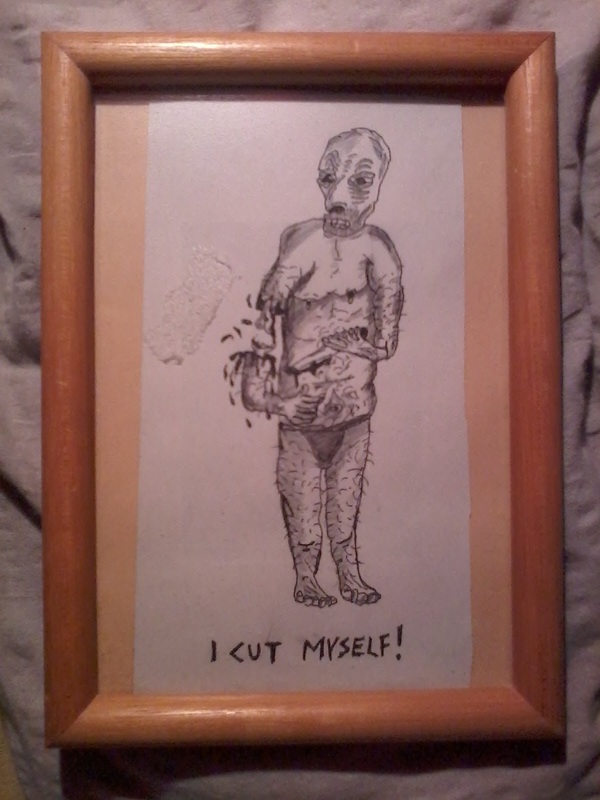 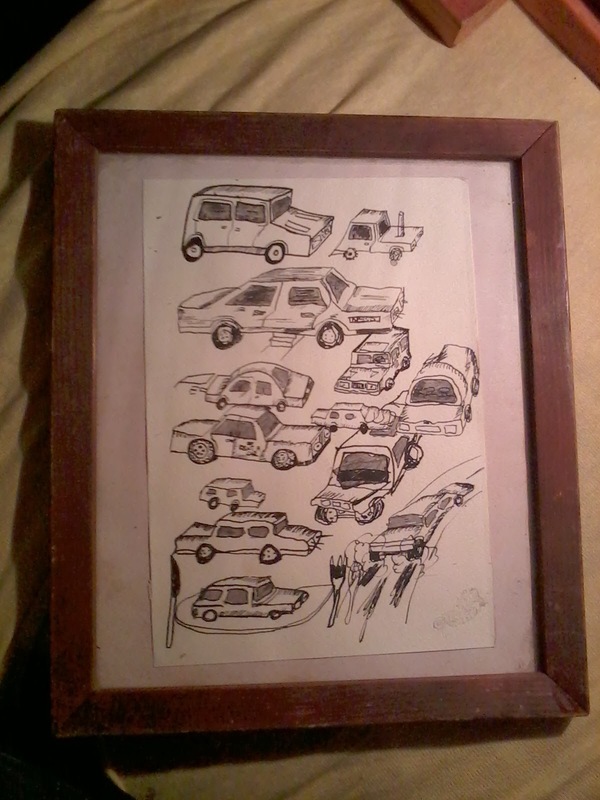 PLUS 12 DRAWINGS FRAMED ! 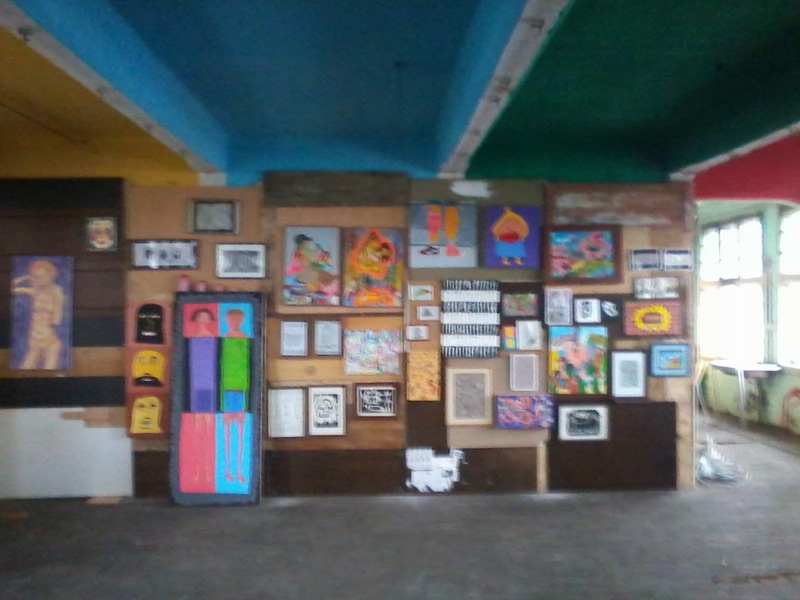 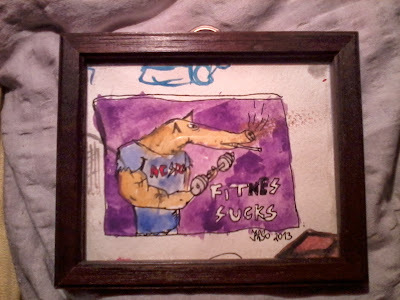 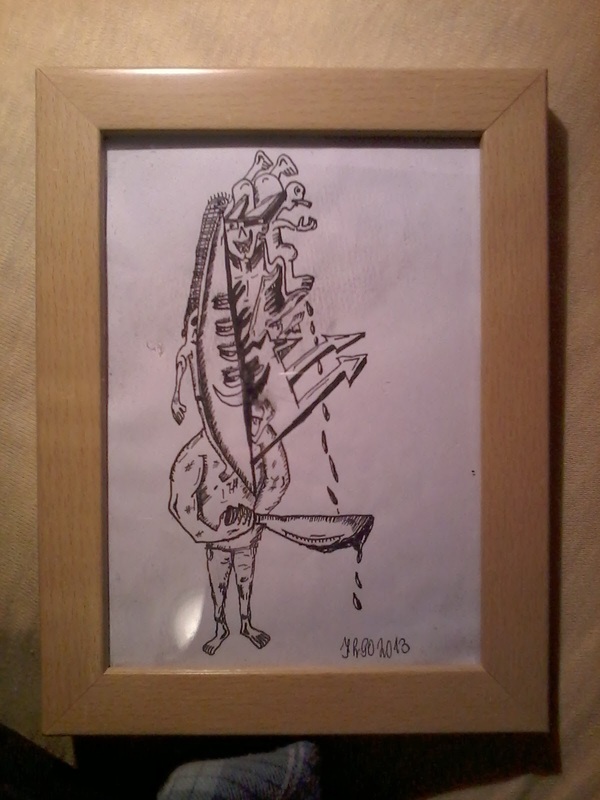 HERE ARE ALSO 12 DRAWINGS MADE IN 2013 AND 2012 IN FRAMES CHEK IT OUT ! 12 NEW FRAMES WITH DRAWINGS FROM 2012 AND 2013 ! 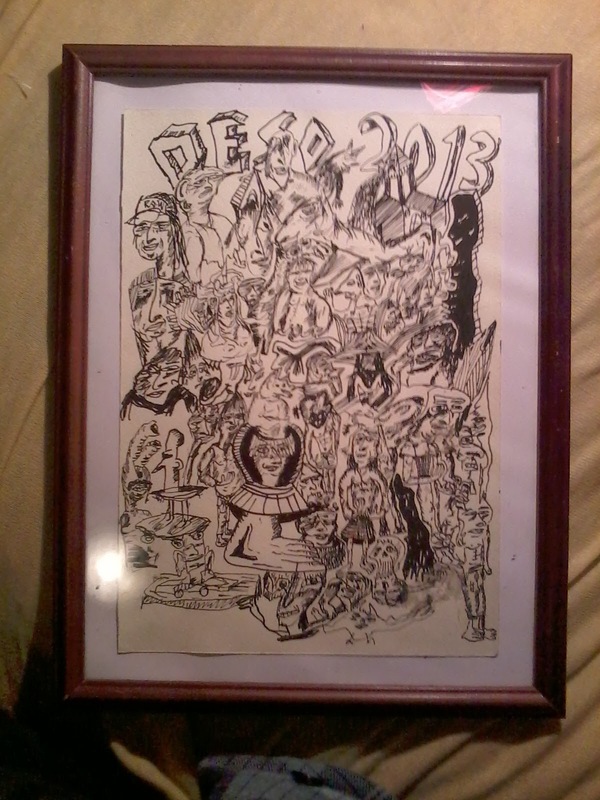 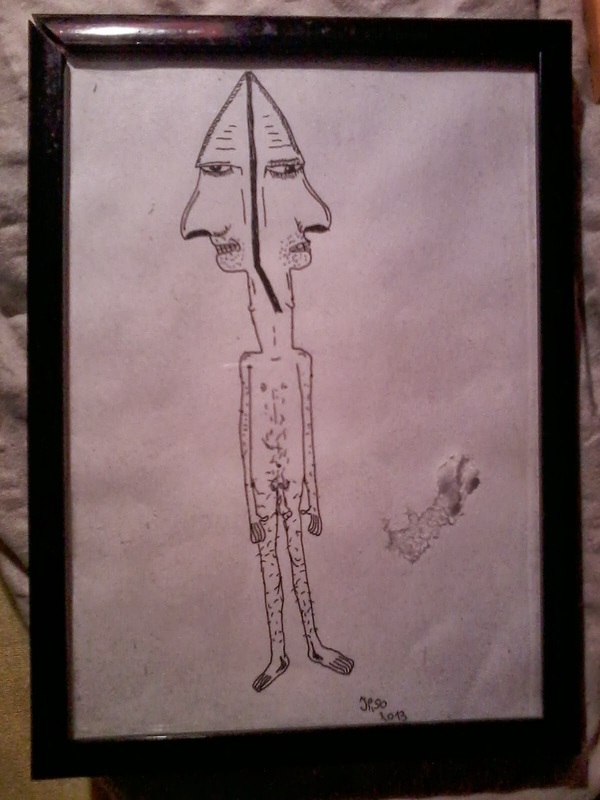 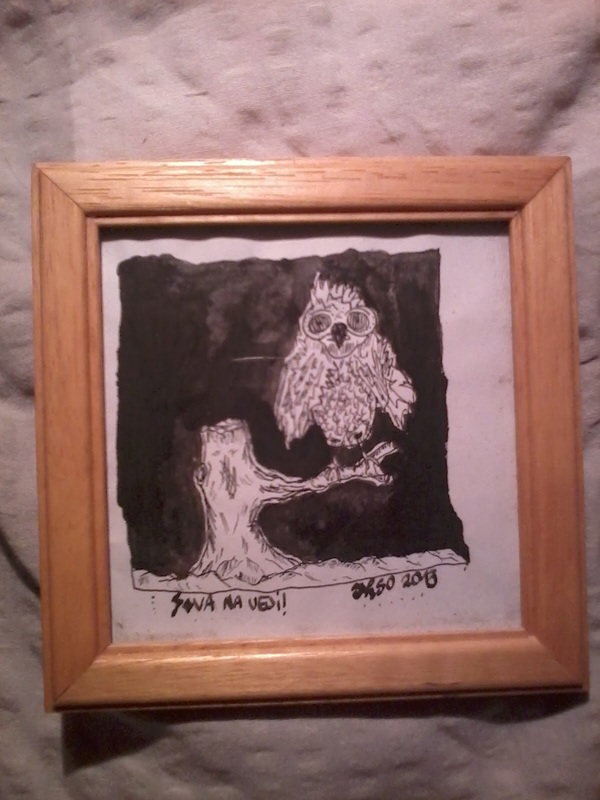 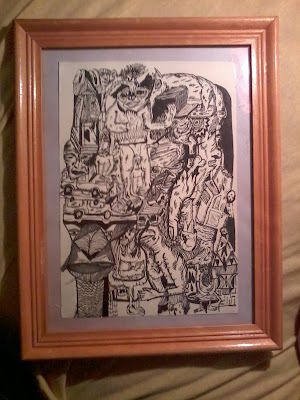 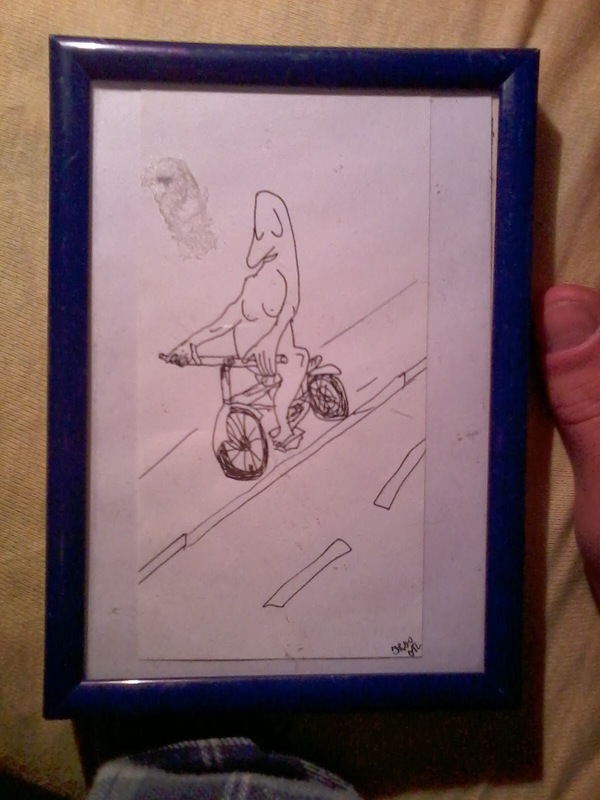 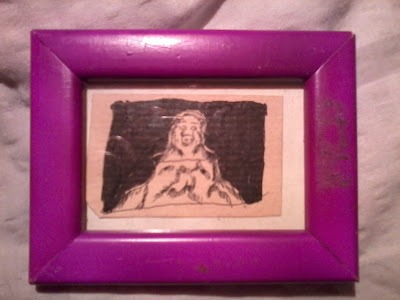 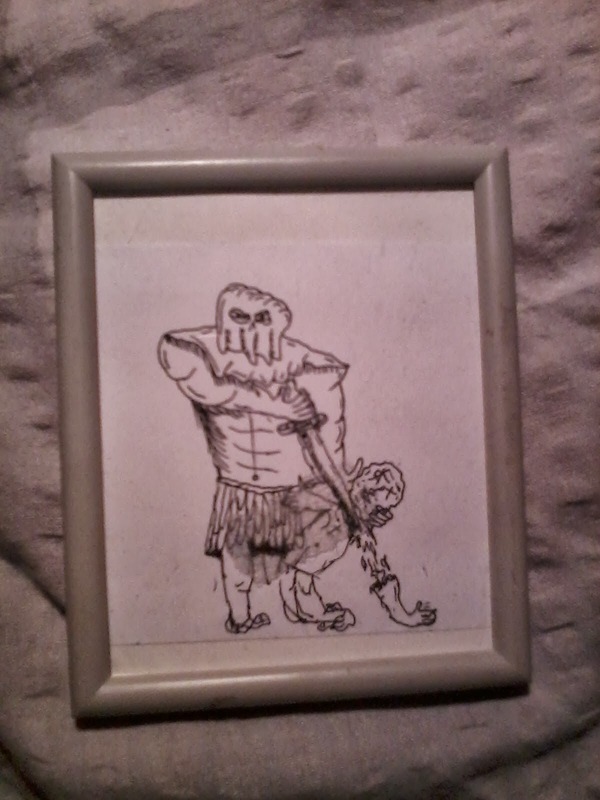 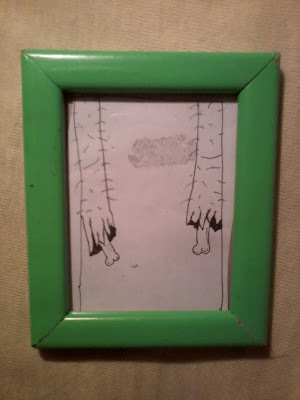 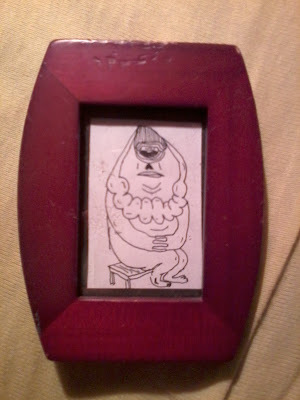 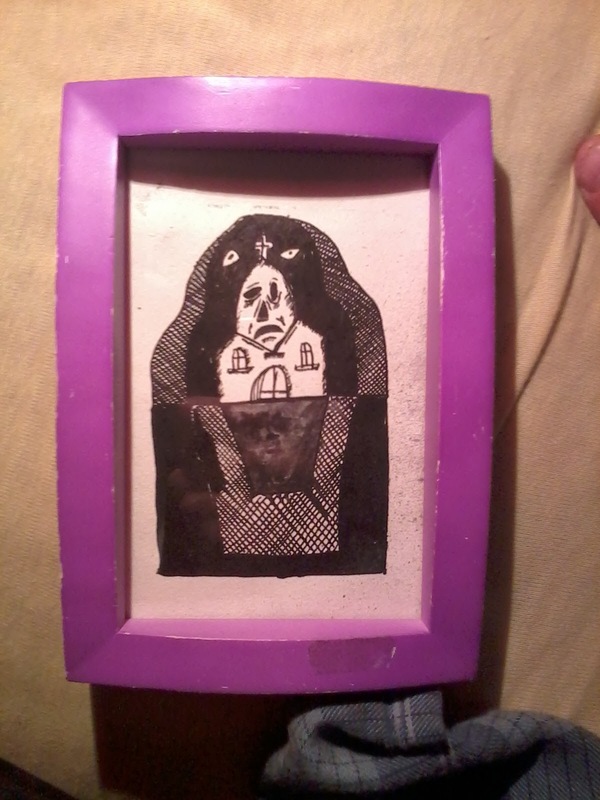 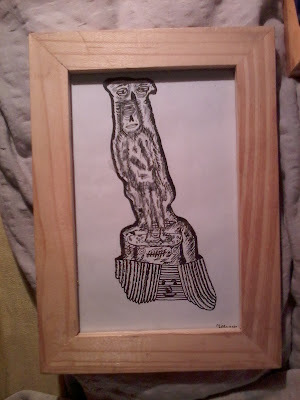 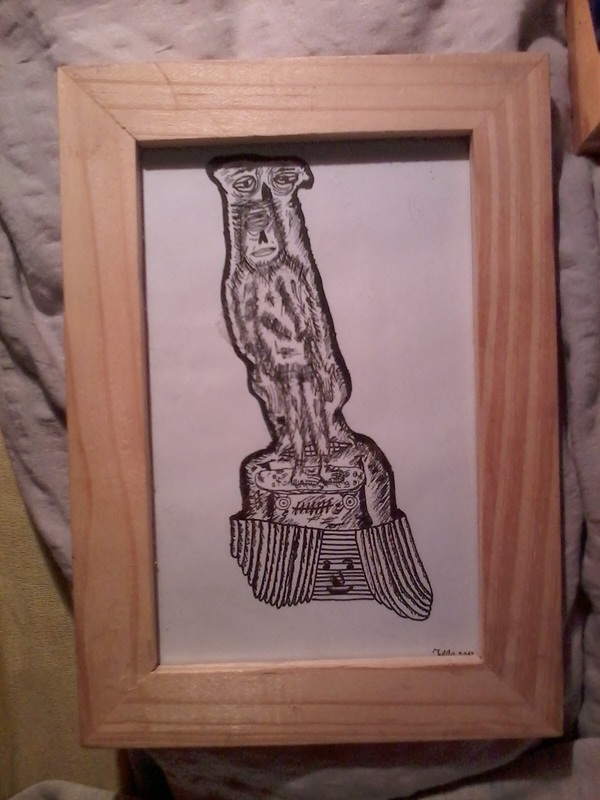 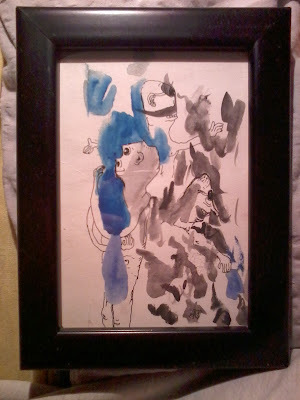 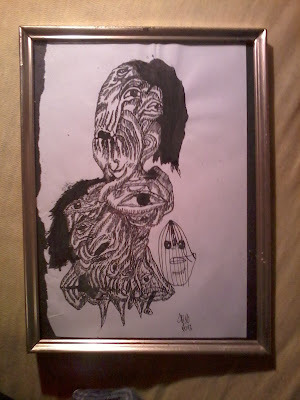 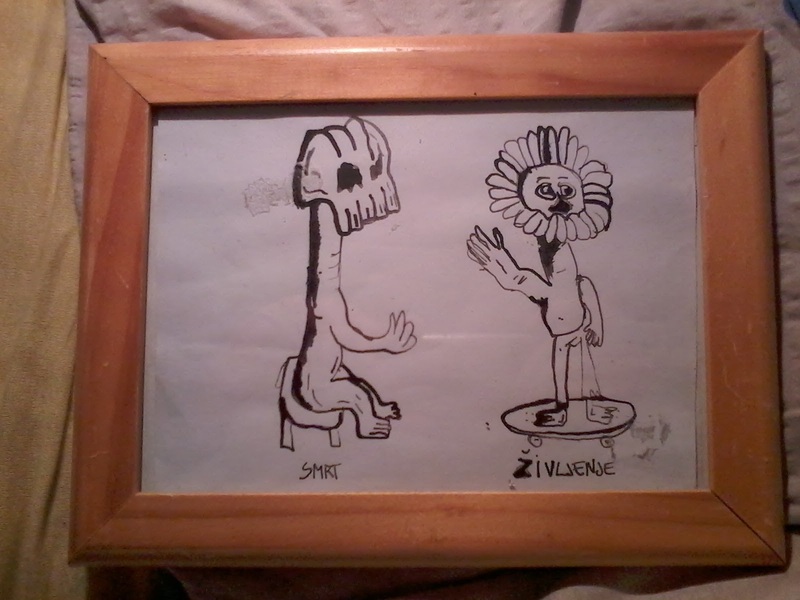 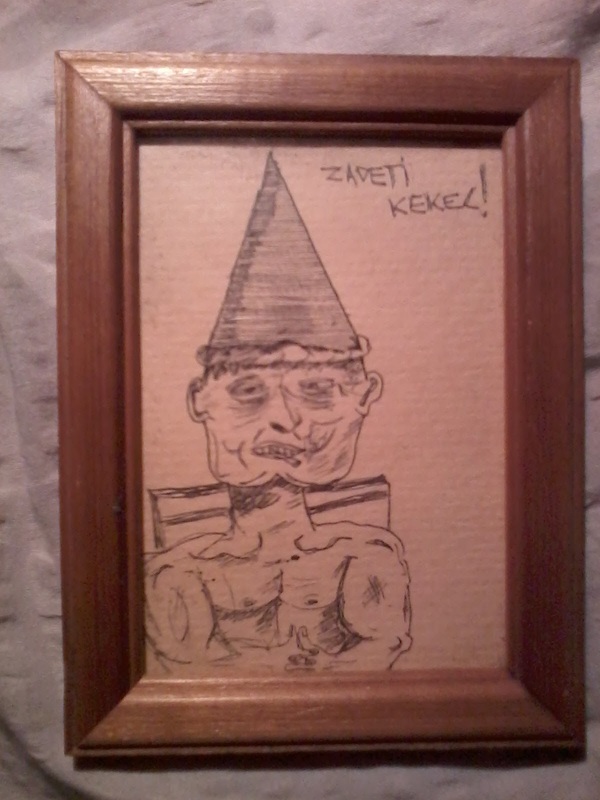 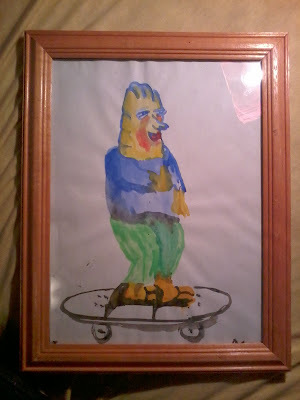 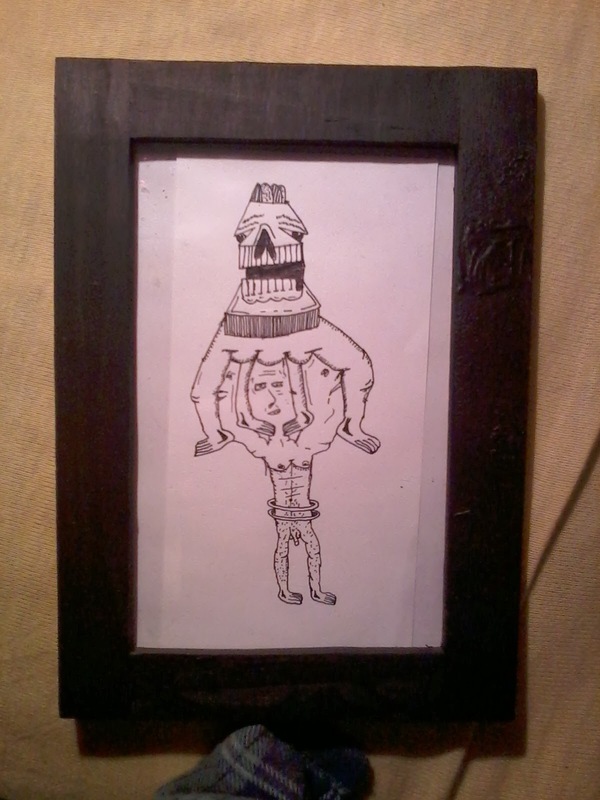 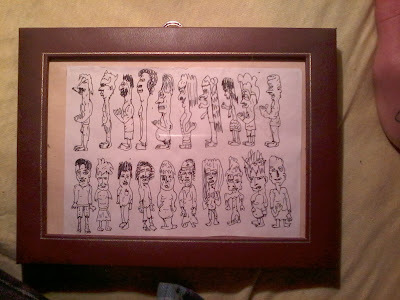 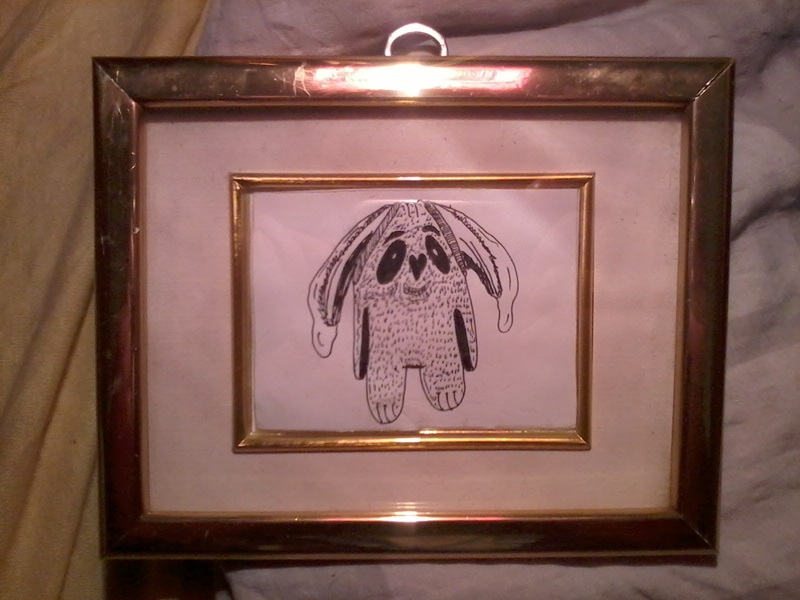 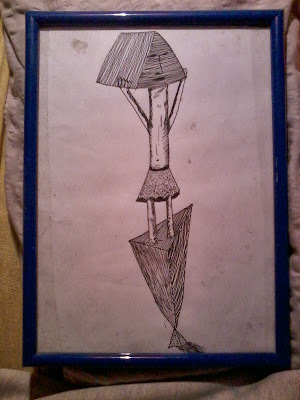 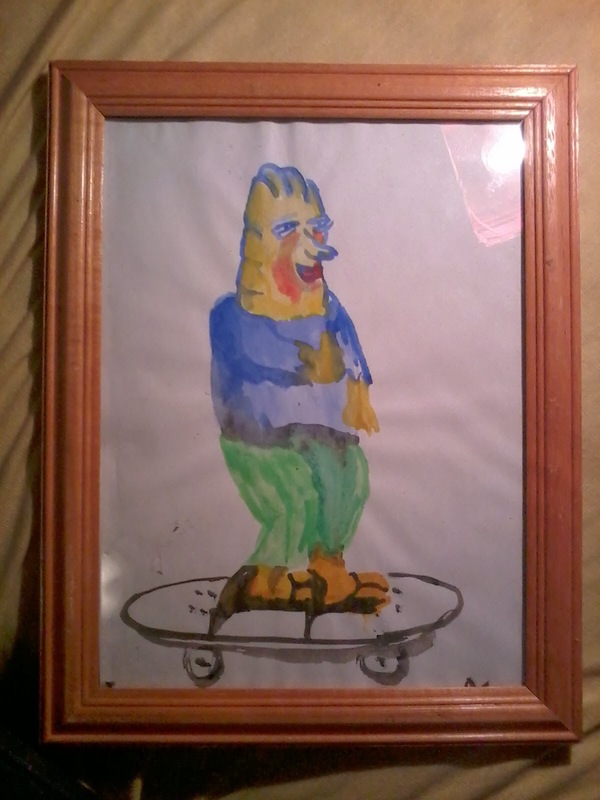 I PUT SOME DRAWINGS WICH I LIKED TO FRAMES I BOUGHT IN SECOND HEND MARKET IN HEILBRON ....ALL SMALLER FORMATS !! 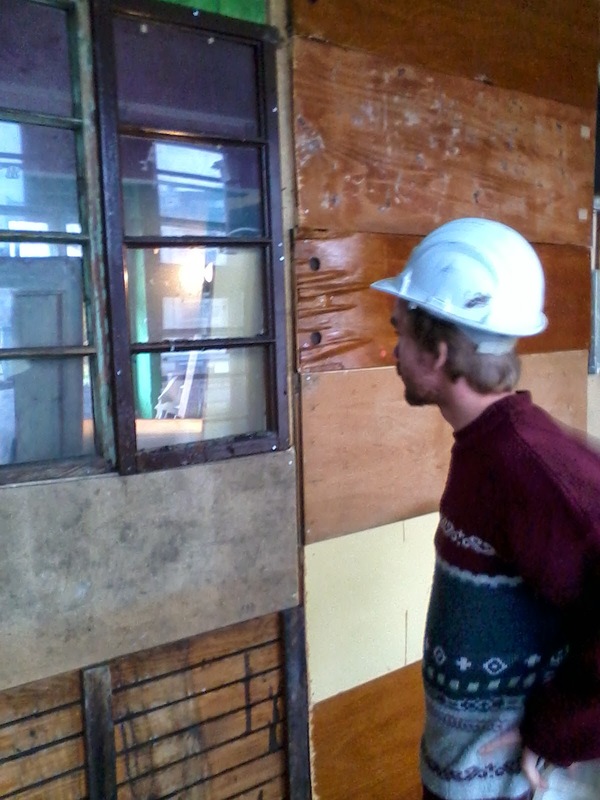 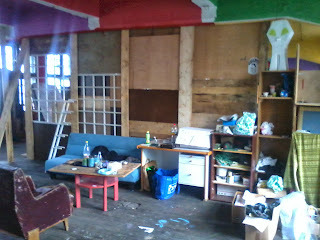 LAST WEEK INSPEKTOR FOR OUR STIUDIO CAME TO SEE HOW ALL THE WORK IS WORKING ....HE SAD IT,S GOOD DONE AND THATH ME AND TATI CAN CONTINUE WORKING ON IT AND IT,S ALMOST DONE ...JUST FEW THINGS LEFT TO GO ....AND STUDIO IS READY . INPECTOR WAS HAPPY HOW WORKIS GOIN ON ! INSPECTOR KNOWS HOW TO DRESS ! 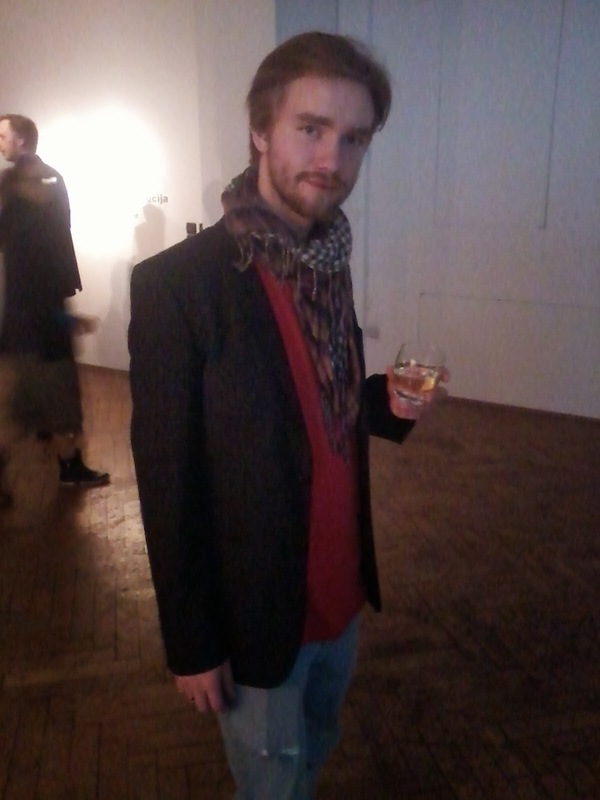 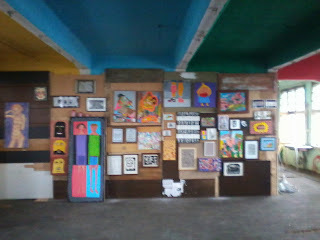 THANKS ALL TO COME ON EXPO AND THANKS TATI FOR SOME PHOTOS ! 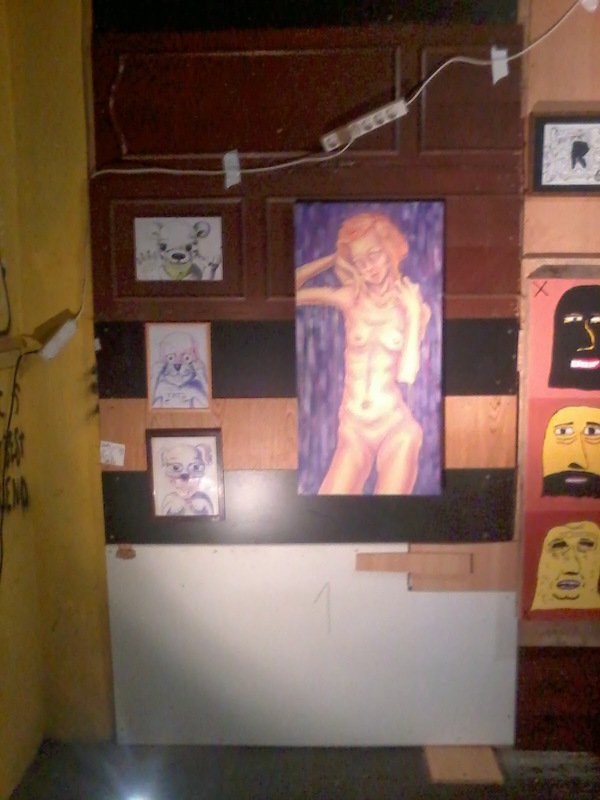 EXEBITION IN ROG LJUBLJANA TOMOROW !